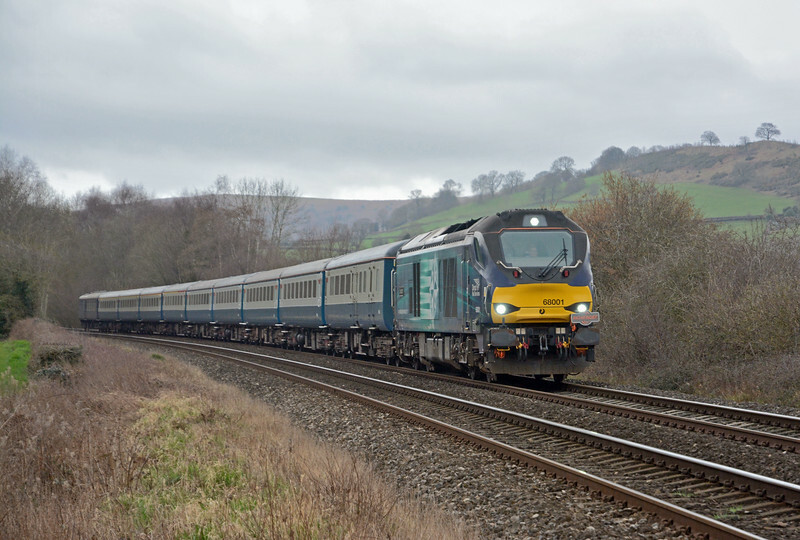 68001 on 1Z22, a posh assemblage taking Welsh rugby fans to Edinburgh for the Six Nations match against Scotland. Starting from Carmarthen at 07:08 it arrived in Edinburgh Waverley at 18:23. Rather than route direct from Carstairs to Edinburgh via Midcalder Junction it went via Motherwell, Cumbernauld and Falkirk Grahamston.